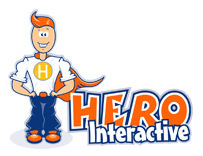 Just read the chat event with Jared from Hero Interactive at Flash Game License. In the middle of a lot of questions and answers, one thing popped up. He said that he believes the current sponsoring model will move more towards a licensing model. A typical flash developer would probably think that this is a bad thing, since exclusive and primary deals are probably the highest paid deals around. Let’s see what this means from a pure business perspective. Here’s the math, round low numbers for clarity. Imagine that you get an offer of $100 for an exclusive sponsorship. What this means is that you will get $100 and that’s it, maybe some advertising if the sponsor allows it. Your game will be on 500 sites in a month, the sponsor will get all the juicy traffic and that’s about it. Many developers opt, if they can, for a primary sponsorship. That usually brings a nice sponsorship deal for a lower price, let’s say $75 and the power for the developer to sell site-locked licenses. For calculations, let’s imagine that you would sell 3 site-locked licenses for $25, so that’s an extra $75. The game would go to the same 500 sites, maybe some more cents from advertising. Let’s start with the basic of this. The game would NOT be distributed in 500 sites. The game would be licensed to any site that paid for it. Imagine this: only 20 sites would have the game, but each would pay $25. This is $500 right there. You can argue that portals can do this right now if the game has a primary sponsorship, but they don’t. Why? Because they can have the games for free. The beauty of licensing is that the game is not really freely distributed, but licensed for use. Well, this could change things a lot. First and foremost, this could mean either the rise or fall of advertising networks as we know it. Rise because portals that couldn’t license games would have to accept advertising not matter what. Fall because the high traffic portals would simply close down any external advertising offer. This would also benefit more the big developers over the small ones. There would be more money going for developers but the offer would be uneven. But I see this as a possible change in the business model. A change that is necessary since the right money is not going to the right pockets right now.